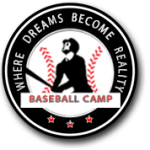 The Las Vegas Baseball Academy is hosting its 28th Annual “Desert Fall Classic” and the Big League Experience has been invited to participate in this very competitive tournament. Held in Las Vegas, Nevada, Team BLE will be entering teams in the 13U to 18U Divisions. 13U’s will play on an 80/54 ft diamond (Bantam sized field) and 14U – 18U will play on full-size fields. This is an open division tournament, meaning the caliber will be very good. BLE’s participation in this event will include pre-tournament workouts and game(s) in Las Vegas prior to the tournament (Oct 24th/25th) followed by the tournament being held Friday, October 26th through the Sunday, October 28th. Hey parents, it’s the weekend before Halloween in Vegas!!!!! Alan Cox – Player Dev. coordinator Okotoks Dawgs. Kentucky Wesleyan Univ.